Having only ever played one Tomb Raider game, on the Xbox 360, I didn’t know much going into this one, but it’s a reboot so I wasn’t too scared. The story follows Lara Croft’s first major adventure, and the events that occur shape her into the fearless warrior/tomb plunderer she is today. As a character here, Lara is incredibly well rounded, you really feel for her every step of the way as she’s beaten, broken, and tortured by the island’s inhabitants and the environment itself. The developers sure do love to hurt her though, and at times it goes way to far, this game definitely should have been rated R due to the horror Lara is subjected to. 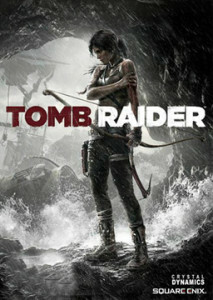 Gameplay is fun and fluid, with no levels to break up the flow, just one continuous trek from start to finish as Croft tries to figure out why she can’t escape the island, and what possible supernatural elements may exist that have driven the inhabitants mad. The main thing dragging the game down is the fact that, combat aside, everything else is so poorly executed. The other characters are horribly written, and acted even worse, compared to the brilliant performance by Lara’s actor, everyone else comes off as cartoonish and stupid. Once the major story elements are revealed, it’s all way too simplistic and doesn’t seem worth the build-up. Also, while Lara’s first kill is treated as dramatic and horrible, every subsequent kill rewards you with XP based on headshots and other factors, turning you into a points-hungry killing machine far too quickly. Mind you, the reliance on a bow and arrow over traditional guns is a smart move, as it makes some kills truly satisfying, if you’re into that sort of thing. So it’s a fun, but very flawed game, sure to please Tomb Raider fans and newbies alike, if you can get over some of the weaker elements.